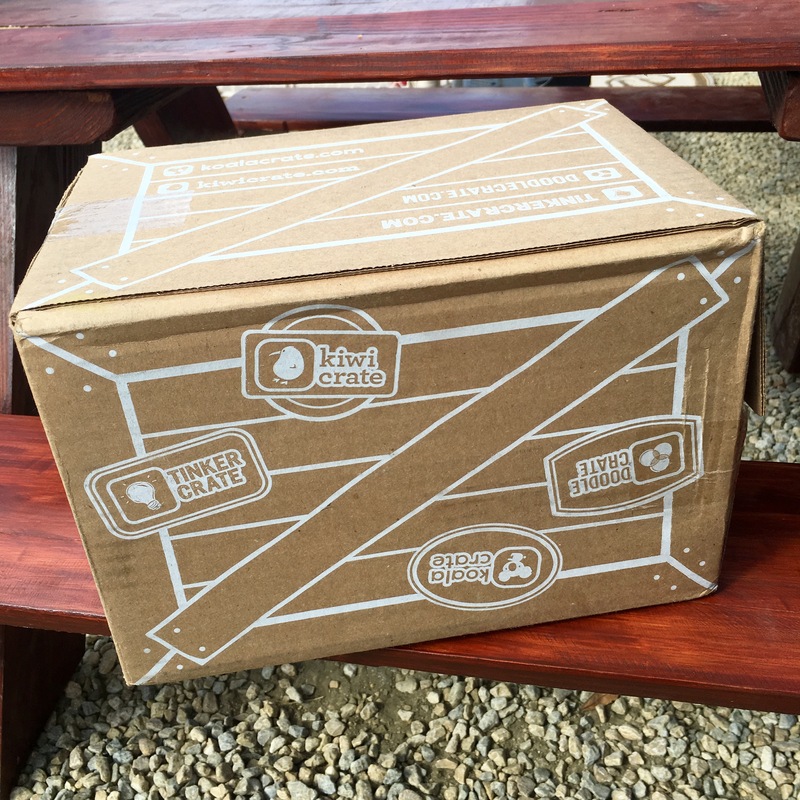 Home Advertisements Kiwi Crate: Review & Raffle! Kiwi Crate: Review & Raffle! Link to enter at the bottom of this post! If you know our family at all then you know the kids and I are all about getting crafty, reading stories, and having fun while doing both. Recently, we decided to partner with Kiwi Crate to try out their services and also to bring our readers the chance to try the crates they offer for free! Kiwi Crate is just one of four monthly subscription boxes offered from the Kiwi Crate corporation and is designed for ages 5-8. This crate tries to make STEAM “accessible, engaging, and fun”. STEAM refers to Science, Technology, Engineering, Art, and Math. Kiwi Crate’s goal is “to inspire kids to see themselves as scientists, artists, creators, and makers”. 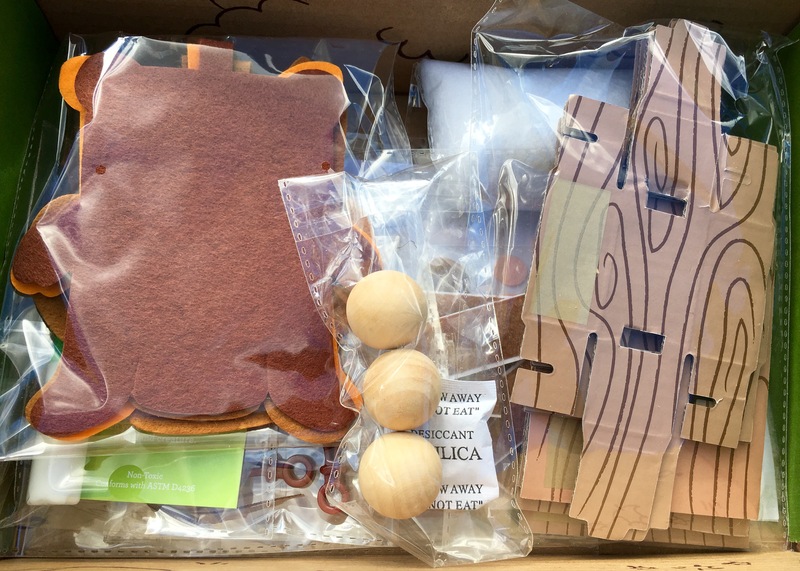 Each month, the crate arrives with the supplies for a creative craft or two as well as a “maker project” which focuses on teaching the child to make something useful by focusing on art, science, and engineering. 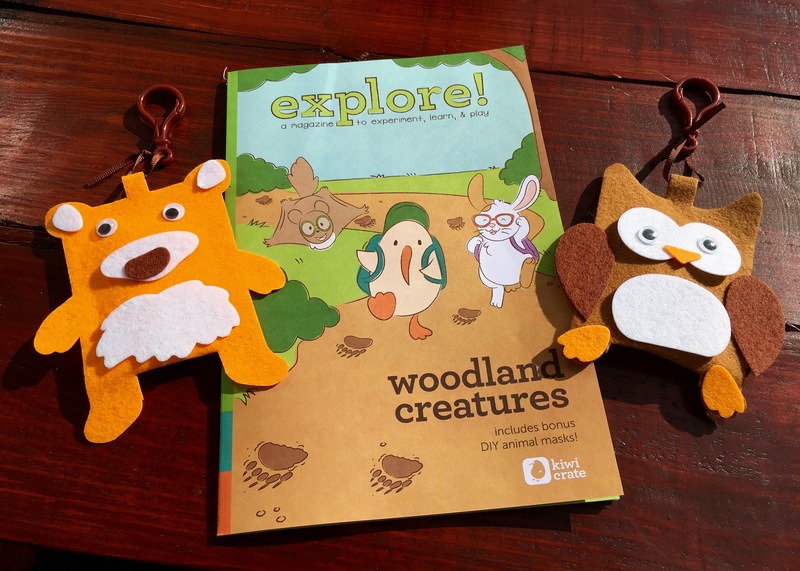 The crate also includes a parent guide (with detailed instructions on how to complete the crafts and explore the lesson) and a copy of explore! Magazine. As impressed as I was with Imagine! magazine in our Koala Crate, the explore! Magazine in our Kiwi Crate is a whole new level. This magazine would be a great stand alone item and is absolutely stuffed full of comics, experiments, games, and more which are all related back to the theme of the monthly box. The box we are sharing with you was themed Woodland Creatures! Of course, the first thing my kid went for was the marble run. She was so excited to be building something all by herself! I loved that a lot of it was self-directed with very little guidance and the pride beaming through as she completed each task was evident. We did not need anything extra to complete the crafts (other than a pair of scissors) and that is another huge bonus to Kiwi Crate. They include self adhesive products, glue, glue dots, paint, etc. Anything they require for the project is thought of in advance by them! The second craft included was a super cute zipper pull activity deemed “my forest friends”. It came with enough supplies for us to make four different friends including an owl, bear, fox, and rabbit. Our oldest decided to make a fox and owl then saved the bear and rabbit for her sisters to do later. I have actually been holding on to these for a rainy day activity when we can pull explore! Magazine back out to be completed. Yes, that means we will have gotten two full days of fun out of one box plus all of the days in between that the marble run has been put to use. Pretty awesome for such a low cost subscription box! Ready to try out Kiwi Crate? You can visit their website to sign up for a subscription but we’re also giving one away! Simply click <here> to head over to RaffleCopter where you can grab multiple entries for our giveaway! Also try out Doodle Crates (ages 9-16+) and Tinker Crates (ages 9-16+)!